TLC-Dallas/Fort Worth is located in the heart of the fourth largest metropolitan area in the U.S. and home to over 6.5 million people from all over the world. In Dallas/Fort Worth you can see a traditional rodeo, watch national sports teams compete nearby, and shop in the world’s finest stores...all in the same day. Dallas/Fort Worth offers a distinctive mix of traditional and cosmopolitan. North Texas is known for barbecue, steaks, authentic Mexican, and Tex-Mex cuisine. Local arts districts are home to several venues including the Kimbell Art Museum, Dallas Museum of Art, Bass Performance Hall, the Morton H. Meyerson Symphony Center, The Trammell & Margaret Crow Collection of Asian Art, and an awesome local music scene. You can find whatever you are looking for here! 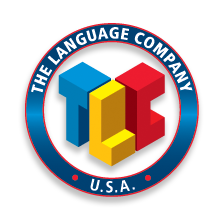 TLC-Dallas/Fort Worth offers a variety of English programs and flexible schedules in order to accommodate a student’s diverse needs for studying English. TLC’s academic Intensive English Program is carefully designed to help you achieve your language learning goals. The full-time Intensive English program meets Monday through Friday. The equivalent of twenty-five, 50 minute lessons is offered each week. Classes include structure and speaking, reading, writing, and core-plus courses. The optional sixth lesson a day may be used for homework, lab, or test study. A TLC instructor is present for this sixth hour study hall. The Language Company's Study Vacation Program combines educational opportunities with the chance to experience a vacation in the United States. This program is designed for students who are 12 through 18 years of age who want to enjoy a learning vacation in an interesting and exciting environment with other students from around the world. The English language study is focused both on English for communication and English structure skills. These two areas of English study, combined with vacation activities, provide an excellent opportunity for teens. In addition to studying English, TLC will provide many fun-filled activities and exciting events to complete the vacation experience! After classes during the week and on every weekend, students will participate in a variety of special activities that will keep everyone busy and learning. Students will not be bored! TLC centers across the country will introduce students to regional activities, like visiting theme parks in Orlando or going to the beach in California! There will also be opportunities for visiting museums, sightseeing, shopping in beautiful malls, swimming and enjoying water sports in nearby lakes, participating in sports and attending local team sports events. There may also be picnics, school dances, and parties to enjoy with classmates. The activities will vary depending on the location chosen and the time of year. TLC offers a Study Vacation Program with the perfect balance of study and fun. Our teachers are skilled at providing instruction that is entertaining as well as educational, and students will study with students from all over the world who are at the same level of English. The Study Vacation classes will provide teens the opportunity to practice English in a variety of skill areas including conversation, vocabulary development, idioms and slang, pronunciation, reading and writing, as well as using computers to help expand their skills and exposure to English. A lifetime of friends and memories! TLC offers both full-time and part-time Study Vacation Program options. The full-time program option offers five to six hours of instruction per day, five days a week. The part-time program option offers three hours of instruction per day, five days a week. Both options are four-week sessions. These private, customized programs are designed for people who need specific English skills for business, but have limited time to study. Participants can return to their jobs quickly, having mastered the necessary English language skills. Programs can be designed to address the English language needs in particular fields such as Petroleum English, English for the Telecommunications Industry, or English for technology business.